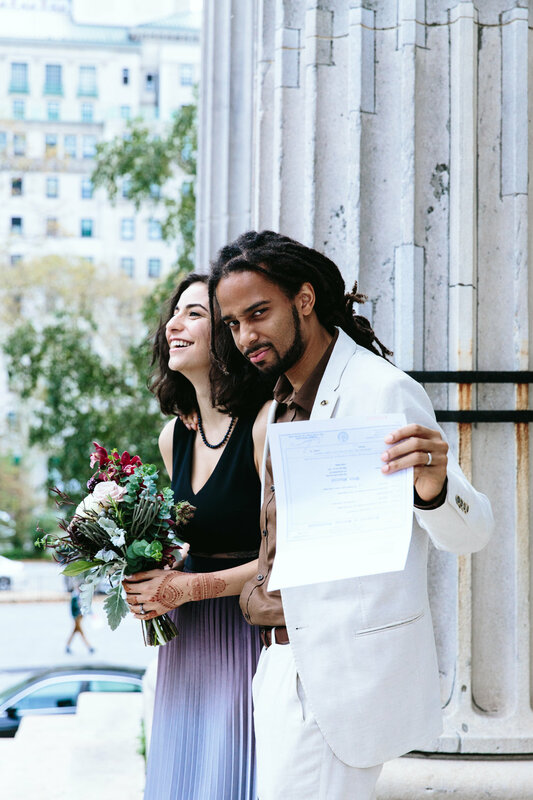 Chris and Aïda gathered a few family and friends in downtown Brooklyn on a Monday morning in October. 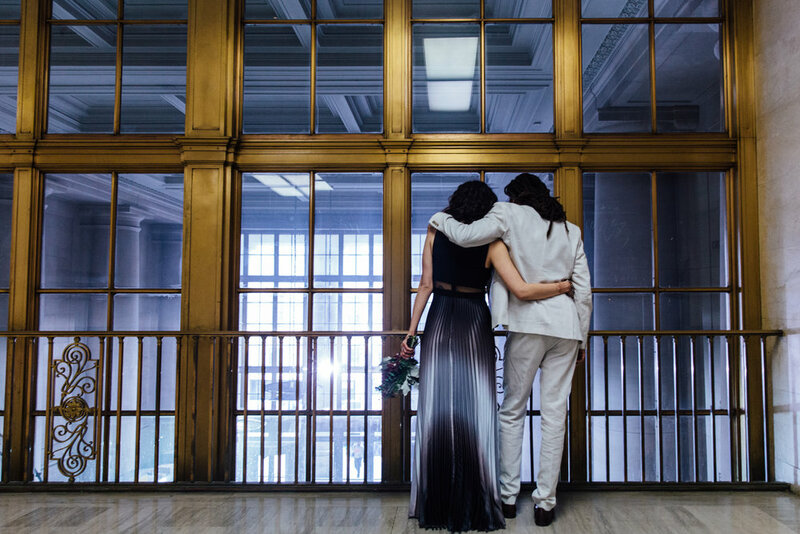 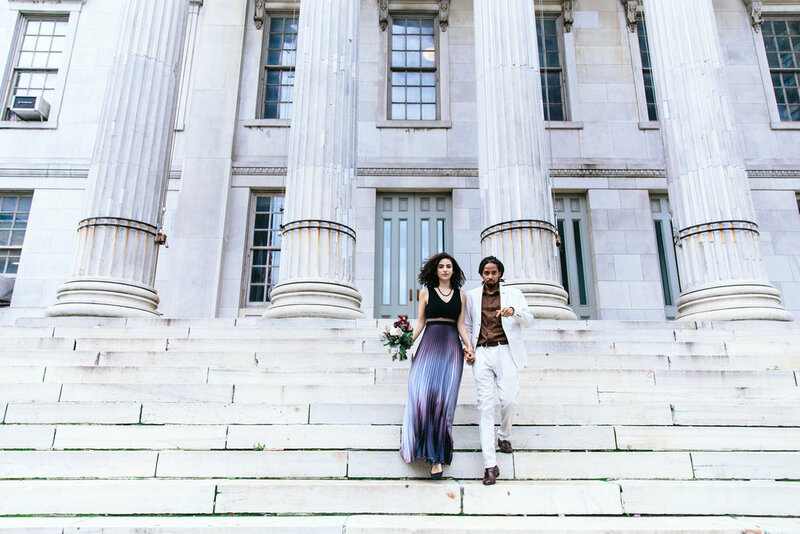 We convened at City Hall, Chris in a white suit and Aïda in a beautiful pleated gown glinting with blues and purples. 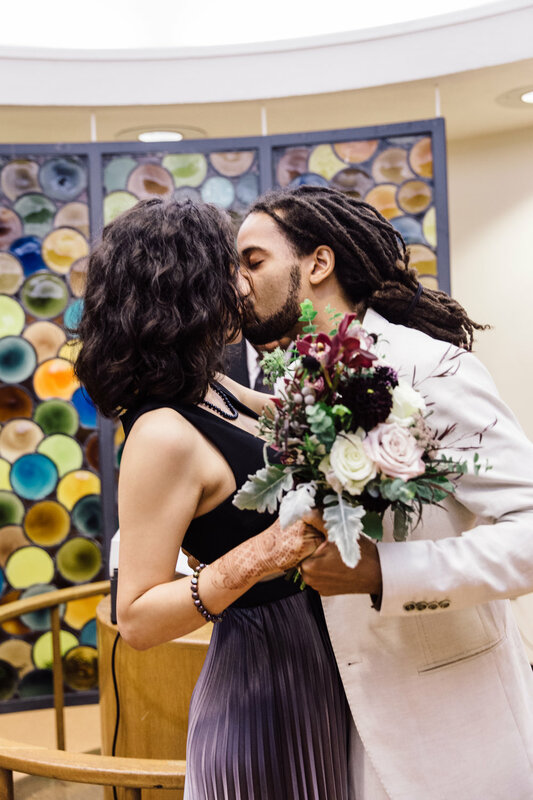 We were ushered into a quiet chapel room where the two exchanged vows and rings. 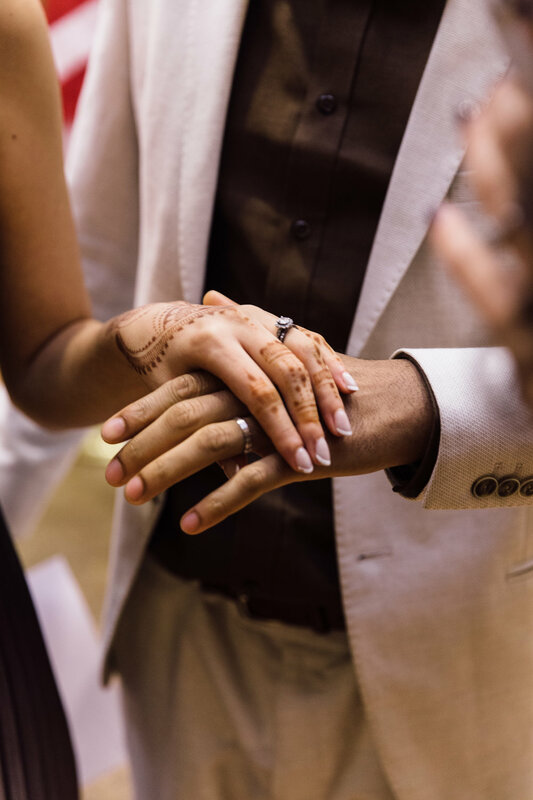 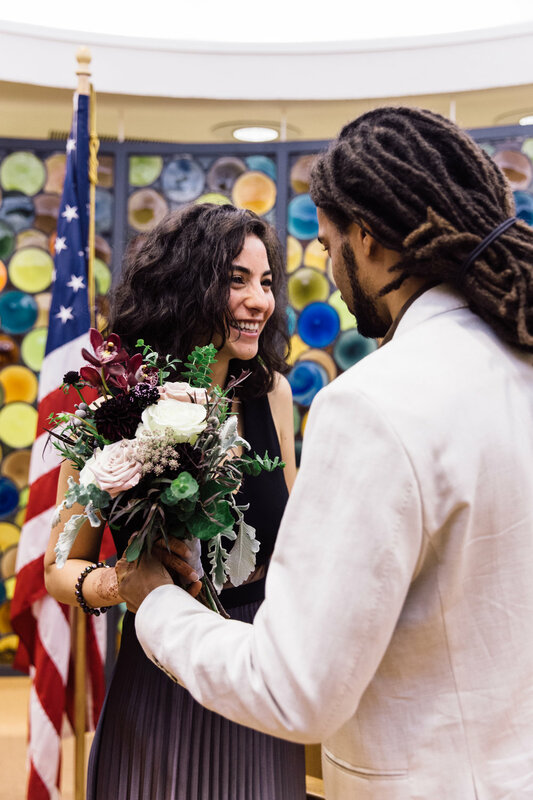 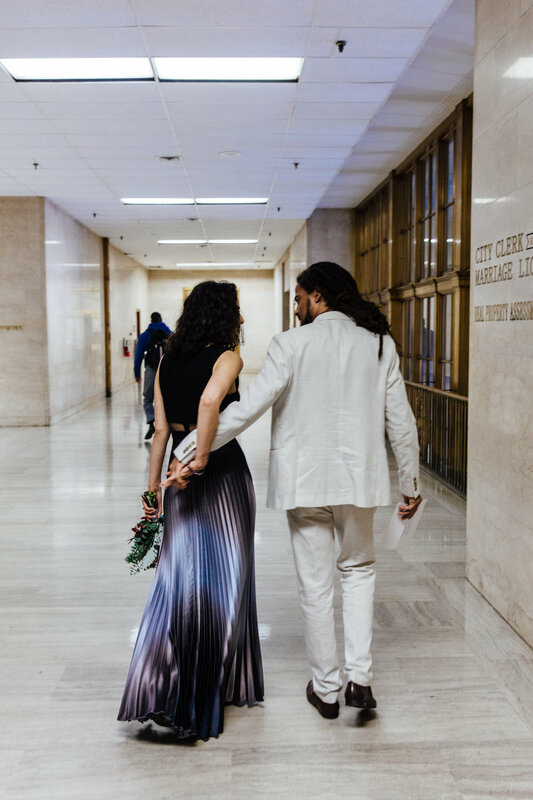 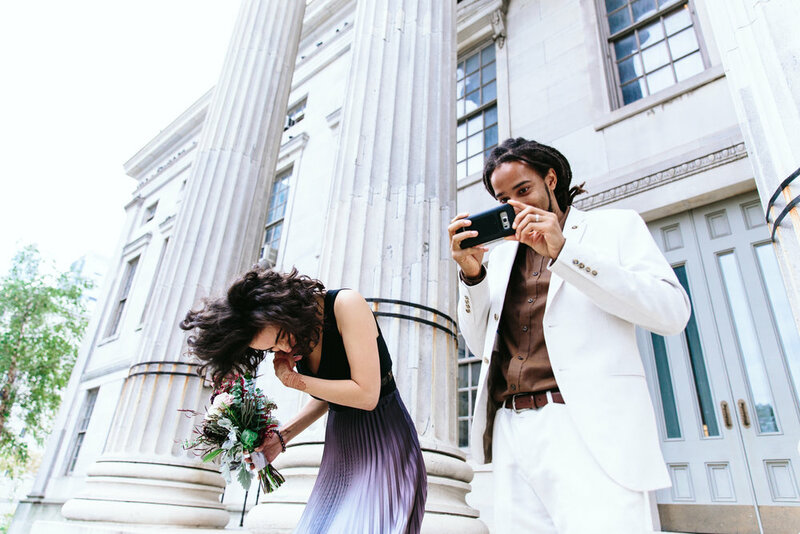 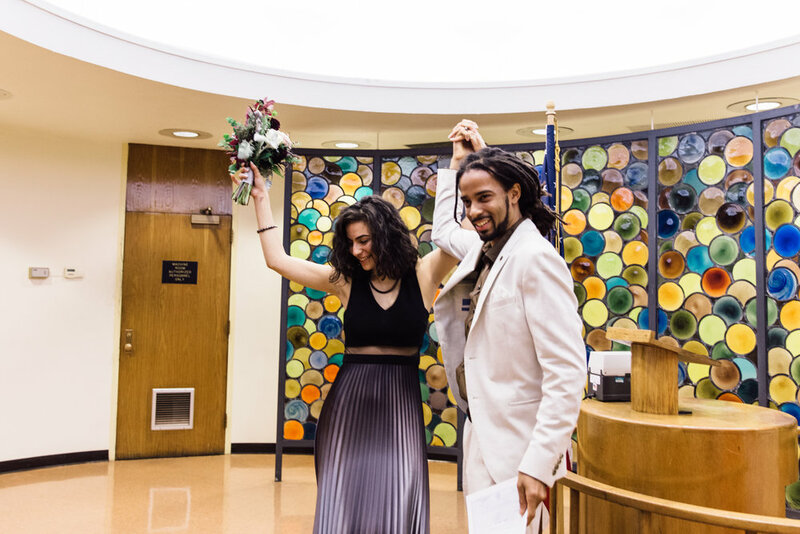 After the intimate ceremony, we cheered the couple and photographed them outside the hall and walking the streets, as they headed off to cheeseburgers, pie, and life as newlyweds.